Creative homeschool record keeping ideas...Free grading sheets! 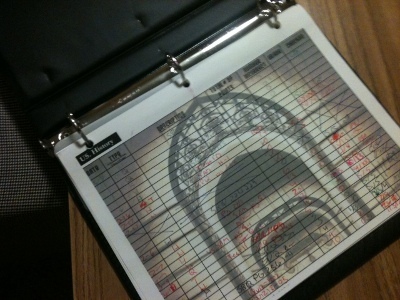 Homeschool Record keeping does not have to be overwhelming! However, no one told me that when I first started homeschooling! How was I to keep all my children's homeschool records? What records do I need? How was I to grade every paper every day? I finally came up with a great solution that has worked in our large family!! YAAA!!! Check to see if your state has specific record keeping requirements. Gather school information if your child has already attended private or public school. Begin keeping a portfolio if your child is just beginning school. Keep a list of all the subjects your child is being taught in one school year. List all the curriculum used and/or books read. Have a progress report or report card filed for each subject. Begin a high school transcript for grades 9-12th. Keep tests, writing papers, art work, etc... as samples of your child's work in a portfolio. Follow a Good Homeschool Schedule! Each home will have their own homeschool schedule that works just for that particular home. 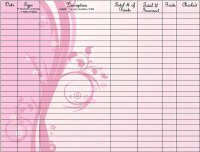 Looking at guidelines for setting up a homeschool schedule is the best way to personalise your own. Do you have a great homeschooling schedule that works for you? Share it here!! Read other homeschooling schedule examples. Keeping your homeschool running smoothly is important by keeping good records...but do not neglect your housework!! A good household chore schedule keeps us moving along smoothly. Colleges and universities rely on GPAs when it comes to scholarship funding for higher education. Therefore, your child’s eligibility for scholarships needs to include a transcript with a GPA. Therefore, you must keep accurate grades for 9th - 12th grade! If you are using a standard curriculum that includes tests and quizzes, simply calculate a grade based on your student’s work on those tests, quizzes, and papers. 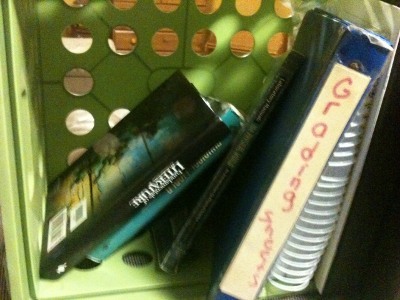 This is where homeschool record keeping comes in.. keep a notebook where you can record all the grades for each subject. At the end of each 9 weeks or 18 weeks, you simply add up all the total points missed for the tests,quizzes, and papers then divide it by the points possible to determine your child's grade. Record Grades in Grading Charts! You need to decide who will keep the homeschooling records. Will the child help grade? Will you do all the grading? Where will the grades be put? Because I am now homeschooling K5-11th grade - as well as a having a little baby around - I choose to have my children help me with much of the grading. I grade the tests, my children help grade the daily work and the quizzes! This saves me hours of time!! My son created these charts to help me keep all our children's' grades organized. What I love about these charts is how easy this makes for recording grades. Plus, the child and I know exactly what they missed right away, making it easy for them to understand what they did wrong. Homeschool Recording Sheets for every subject! Finish the Homework, quiz,or test. My children tell me they are finished with that assignment. Show me the finished assignment. Grade their work near me. Record it in these charts. I sign the chart to show its completion. The child knows what questions were missed and fixes the wrong answers right away, and I have instant records of their grade! Print One Chart For Each Subject Needed. With so many high school students in the home, I have a notebook designated for each child. In this notebook, I keep all the grades for the entire year divided by subject. This is the record of their grades for the entire year. At the end of the year, I record their grades in their highschool transcript that I keep on the computer.